Alberta Biathlon Club will hold its Annual General Meeting Tuesday, January 13th in Calgary. Details here. Top Alberta biathletes Emma Lunder and Nathan Smith have launched a Pursu.it crowdfunding campaign. Check it out here. Congratulations to Alberta athletes selected to represent Team Canada at the 2015 World Youth/Junior Championships in Belarus, and Team Alberta at the Canada Winter Games, February 13 - 20, in Prince George, BC. Read more here. Team Alberta, competing at the National Championships in Hinton, March 9th to 15, is hiring coaches and wax techs. Deadline for applications is January 18th. Selected athletes will be contacted by December 16th, and the team will be announced by December 23rd. Results, including Kurvinen shooting data, from last weekend's NorAm/Calforex Cup #2, available here. Organizers of Calforex Cup #3, January 10-11 in Grande Prairie, have secured an accommodation sponsor - read more here. Includes changes to missed-shot penalties in the Individual, and the Pursuit competition (refer to Annex D). Download here. The delegation from Gangwon, Korea arrived in Edmonton yesterday, and travels to Canmore tomorrow. Today's competition cancelled - too cold. Sunday's zero delayed until 11:30am; start at 12:30pm, weather permitting. All Calforex categories have been cancelled for tomorrow, (Saturday, November 29th). IBU/NorAm Cup categories (Women, Junior Women, Youth Women, Men, Junior Men, Youth Men) will, weather permitting, race at 13:00 (zero at 12:00) tomorrow. An update on the competitions will be posted here by 10:30am tomorrow. 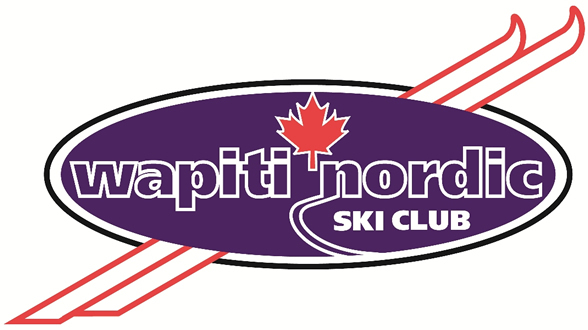 In conjunction with Calforex Cup #4, Edmonton Nordic will host the Canadian Western Championships, January 24-25, 2015. The event was originally set to take place in Falcon Lake, MB, but has been moved due to logistical constraints. An invitation will be available in early December. Expert Anschutz gunsmith Marc Sheppard will be in Canmore for NorAm/Calforex Cup #2, and will be available for appointments December 5/6/7. Contact Marc directly to book an appointment. 2010 model 7-3, Junior/Women, mounted on a BEAR stock.